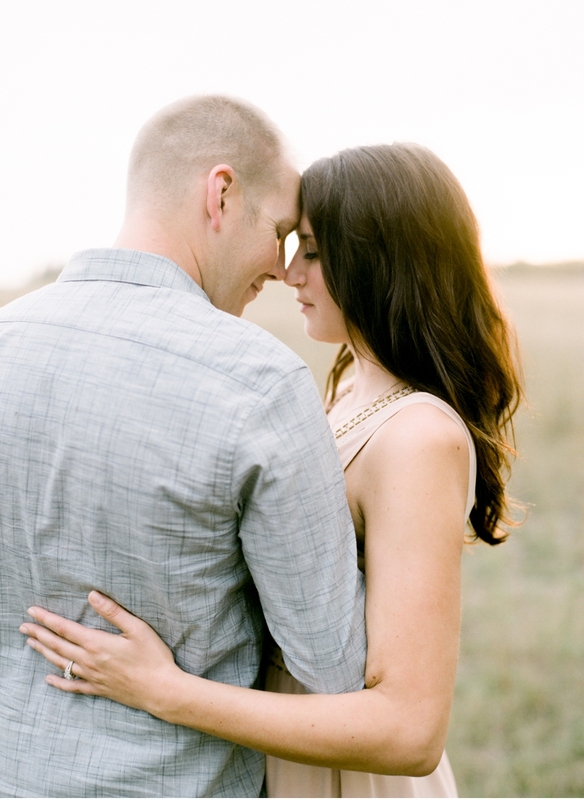 You know what's missing from this engagement shoot by Brittany Mahood? Not a thing. The couple's wardrobe is flattering and suits the surroundings, the bride-to-be's hair and makeup looks lovely, the only addition to the shoot is a pet pooch (rather than a trunk-load of props) and the setting is void of distractions. 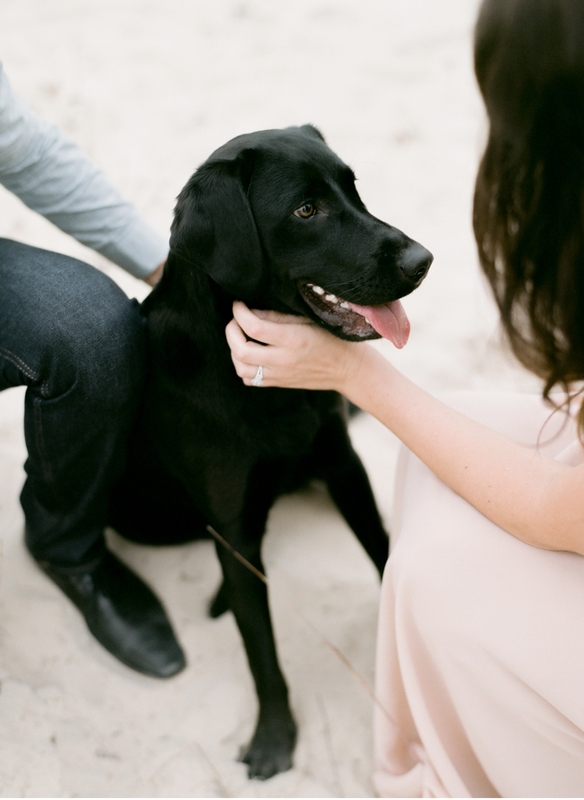 Brittany made sure to capture the couple interacting with each other, their obviously beloved dog, and the camera in a way that is both relaxed and artistic, showcasing everything from detailed closeups, to portraits, to candid landscapes, all while taking advantage of the best natural light possible. As many bride-to-be's are busy pinning their ideal engagement concepts these days, it's important to remember that if timeless, elegant, true-to=yourself images are what you seek, then make all plans to avoid kitschy signs or props, and cheeseball themes. 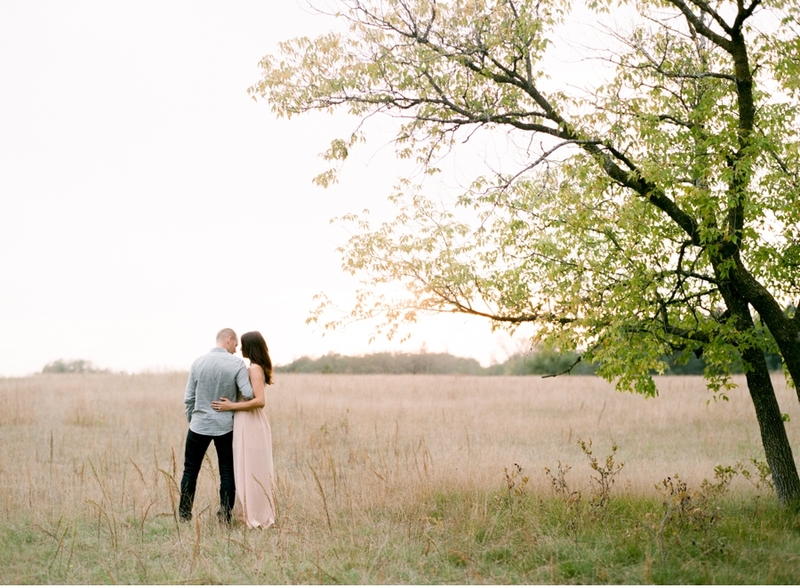 Find a photographer who is passionate about light, love, and utterly beautiful compositions, and you're one step closer to ensuring not only your engagement, but wedding day photographs, will stand the test of time.